To create a new talk template, go to TEMPLATES module and click CREATE to the right. 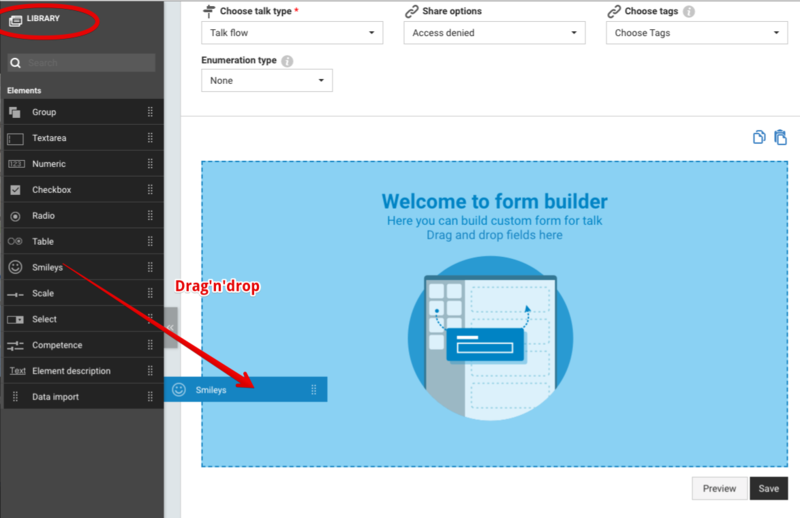 Right after that you will be redirected to the Form Builder, where you can build your own template using ELEMENTS Library you can see to the left. Simply drag-and-drop to the form the elements you need. By dragging you can also change the element order. When you hover on the element in the form, in the right corner you will get even more options available: copy/paste elements or delete them. Direct talk - a quick talk between 2 people excluding preparation step. Until the moment you choose share options by default it has Access Denied. It means that this template will be visible in talk templates list but impossible to choose and perform a talk. 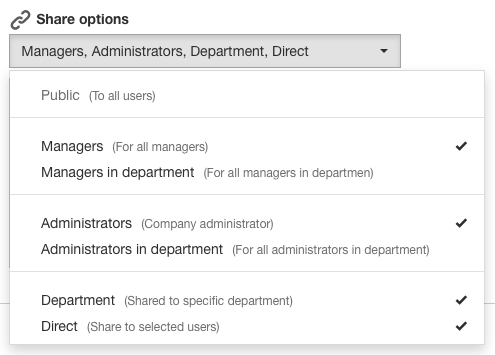 In Share options you can choose from the list available variants by putting a tick where necessary. Several options can be chosen at the same time. 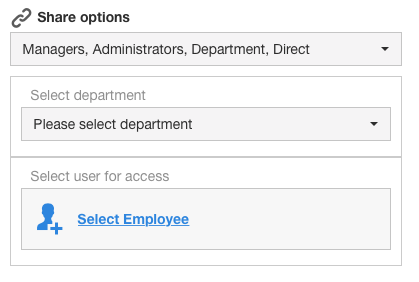 If you chose department/direct you will need to choose from the list the departments required or employees right after that. After you finish composing the template, you can click PREVIEW to see in a pop-up window how is your template going to look like and click SAVE if it's ok.